CHICAGO – August 21, 2017 – Associated Bank announced the closing of a $17,495,000 acquisition and construction loan for a joint venture project between JSM Ventures, Inc. and the CEDARst Companies. 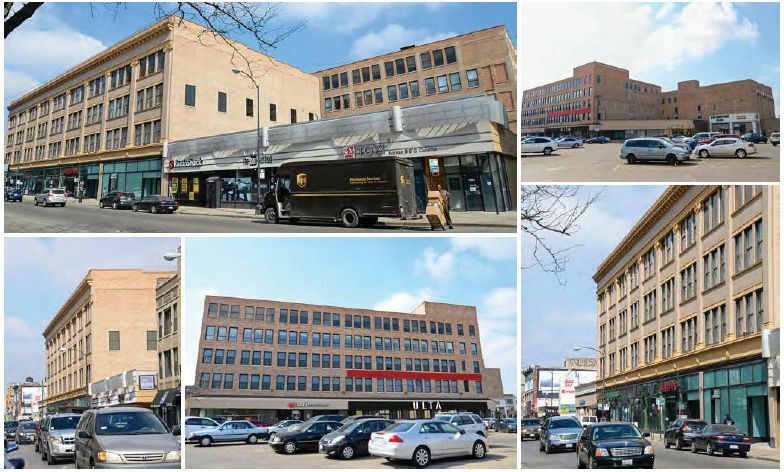 The venture plans to renovate the non-retail floors of two former office buildings located at 1279 N. Milwaukee Avenue and 1300 N. Ashland Avenue in Chicago into an 86,660 net rentable sq. ft. self-storage facility with 1,273 units. Completion is expected in late summer of 2017. The two-buildings, originally constructed in 1928, are part of the 325,000 sq. ft. Wicker Park Commons, an urban infill retail shopping center with tenants that include Jewel, Lowe's, Ulta, Subway, Potbelly and Pet Supplies. Wicker Park Commons is located in Chicago’s Wicker Park neighborhood, just north of the intersection of Milwaukee and Ashland Avenues and Division Street. Centrum Properties was the seller of the office portion of the two vertically-separated commercial condominium buildings (excluding ground-floor retail) with an approximate total area of 156,009 sq. ft. The four-story building faces Milwaukee Ave., and the building facing Ashland Ave. is five stories. RREEF will continue to own the ground-floor retail space as a separate condominium. Additionally, Neighborhood Housing Services of Chicago, Inc., ("NHS"), located on the fourth floor of the Milwaukee Ave. building, will remain in place. Northfield, IL-based JSM Ventures is a self-storage developer headed by John S. Mengel. The company has extensive experience in ground-up development and the adaptive reuse of existing structures into self-storage facilities. CEDARst is a diversified real estate company and one of the most active developers on the north side of Chicago. The company owns about 1,500 apartment units in the Uptown, Edgewater and Andersonville neighborhoods in addition to real estate in other Chicago neighborhoods, including River North and the Loop. Daniel Barrins, Vice President in the Commercial Real Estate division of Associated Bank, originated the loan. Associated Bank’s Commercial Real Estate division, based in Chicago, is committed to providing commercial real estate developers/owners/operators with an array of financing solutions, in addition to products and services that meet their unique needs. Associated’s Commercial Real Estate division has offices in Illinois, Indiana, Michigan, Minnesota, Missouri, Ohio, Texas and Wisconsin.